I have a confession to make: In 1991, I became infatuated with heirloom seeds. During this time, I lived in Lancaster, Pennsylvania, and was introduced to heirloom seeds by the Amish community. Isn’t is fascinating that a tiny seed, over 50 years old, can be saved, sprouted, and produce the finest quality and tastiest produce? I’ll admit that I didn’t really know what I was doing in the beginning. Geez, there are many days even now where I tinker around in my garden, transplanting a new variety, and wondering if I have chosen the right location. I often think, did I take the proper care when transferring the plant from our Bed & Breakfast window sill to the freshly tilled earth? My husband, Jim, and I have been collecting heirloom seeds for over 20 years. We learned to save the seeds that were left on our plates, perhaps from one of our favorite summer meals–a sun-ripened tomato sandwich. We didn’t know much else, to be honest. We would rescue the seed, wash it, let it dry, and store it in a jar or envelope, making sure to label and describe it. 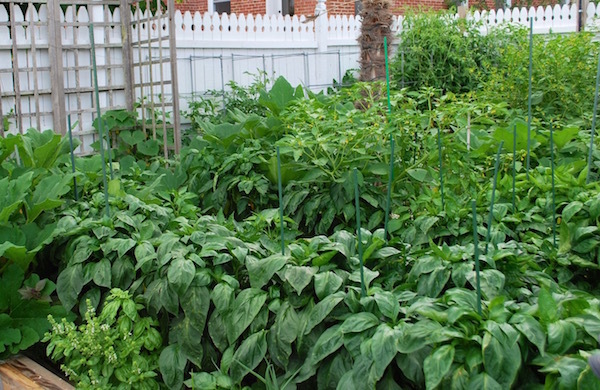 Five years ago, when we lived in Woodbridge,Virginia we retrieved the seeds and started garden organically. The process we used then hasn’t changed much at all. We begin by sprouting the seeds indoors, using the purest soil, and rotating the seedlings throughout our Bed & Breakfast, ensuring they are exposed to varying degrees of light. Some seeds grow…and some don’t. We weren’t very successful in the beginning, but have learned much over the years! When we opened the Bay Haven Inn of Cape Charles Bed & Breakfast, we used recycled cups–and the light from our kitchen window–to begin the annual growing season, that we, as well as our guests, have come to love. 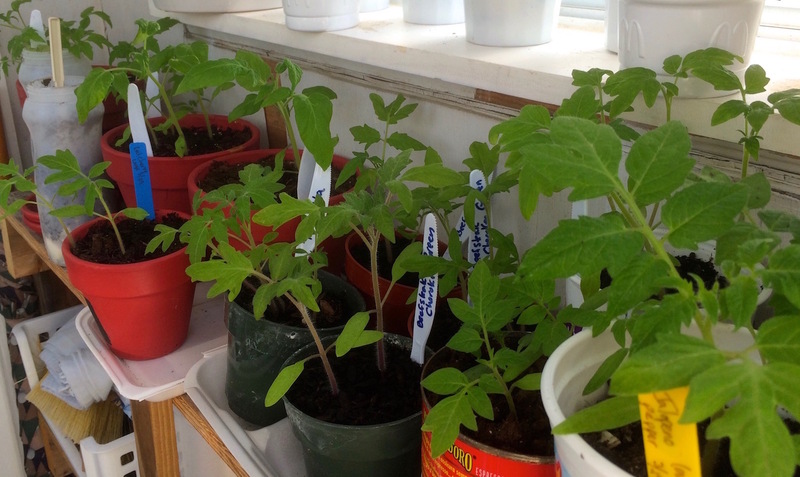 Last year we grew over 32 varieties of tomatoes. (That is A LOT of tomatoes!) 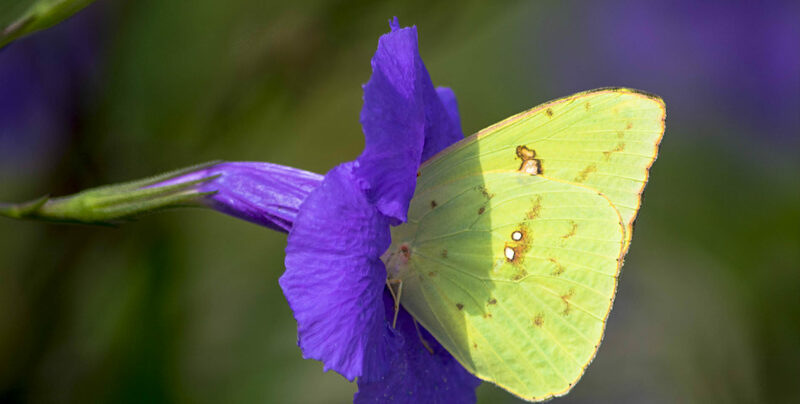 The colors ranged from deep orange, purple, and crimson, to bright yellows and greens. 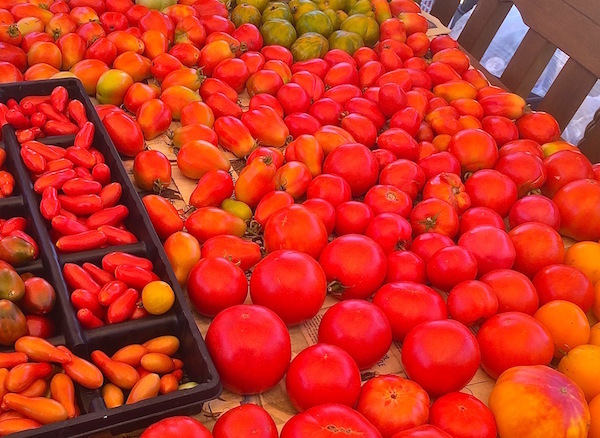 With much practice in organic, heirloom farming, we are happy to share that we serve fresh tomatoes well into December! This is the time of year when we begin planting the seeds. It’s always inspiring to peruse the Seed Savers website in the deep, cold, dark of winter, dreaming of the brighter, warmer days. This has become a labor of love–nurturing our garden–and we absolutely enjoy sharing the bounty and love with our guests at the breakfast table. 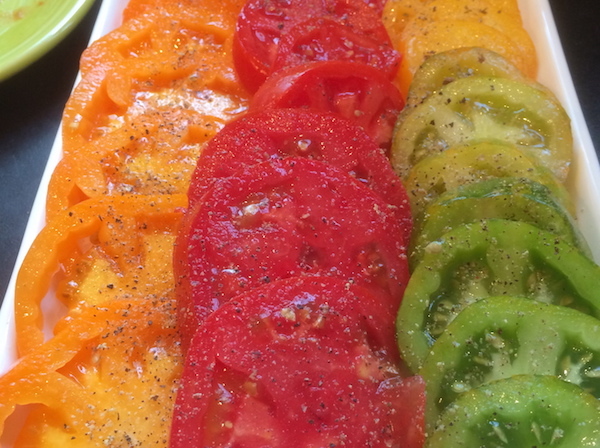 Guests visiting in May or June might even get to take a heirloom tomato grown from seed home with them after their visit! When you sit down to eat breakfast at our inn, you will be able to partake in a variety of produce that was grown just 15 feet away. Your tastebuds will dance with delight for the cukes, melons, peppers, zucchini, and tomatoes. And, if you are here when there is an abundance, you can visit our Abundance Farm Stand in the backyard, throw a few dollars in the jar, and leave with heirloom produce to remind you of your wonderful stay at the Bay Haven Inn of Cape Charles. This weekend kicks off the start of seed planting…giddy with excitement to get those little guys in the soil and have them germinating in the kitchen window for the next few weeks! Stay tuned on our FB page or follow us on Twitter or Instagram to see the progress!